Home/News, Physiotherapy, Sports/How to become a Ninja Warrior UK champion! As you may be aware, the Ninja Warrior UK final took place this weekend and it did not disappoint! The impressive performance of one individual stood out more than most! Having been 2nd man standing last year, Jonny vowed to come back better and stronger than last year…and he did just that! Jonny Urszuly was crowned Ninja Warrior UK champion this year and became just the second man in history to reach the third stage final on the hit show and got further than anyone has ever gone before. So, what did he do differently to last year? Personal trainer, Jonny, stepped up his training and began to focus on three key aspects: weight lifting / training, sprinting / distance running and gymnastics. By focusing his training around these aspects, Jonny was able to tackle all the challenges that the Ninja Warrior UK course would make him face. If you are looking to follow is Jonny’s footsteps and enter Ninja Warrior UK, or you’re interested in becoming as fit as Jonny, you need to focus on 2 things: Training and recovery. The perfect place to start is CrossFit. The popular form of exercise known as ‘CrossFit’ focuses heavily on weight lifting / training, sprinting / distance running and gymnastics. Its purpose is to train our bodies to a ‘total fitness’ level and strengthen our core. REMEMBER, you will never reap the benefits of training if you are injured, therefore, a sensible recovery regime is a MUST. At Physiofusion, we can make sure your body is healthy enough to withstand the strain it will go through in order to achieve those total fitness levels. We can also monitor your progress during training, making sure your body is functioning as well as it should be and that it hasn’t been over-compensating for weaker areas that you may be unaware of. The main thing to remember is that pushing our bodies to their limits will always come with risks – no matter how fit we are (or think we are!). Injuries can come from something as minor as sitting on a wallet while it’s in your back pocket – so imagine the injuries that can be sustained from pressure 1000 times that if not done correctly. Pushing yourself too hard and not knowing your body’s limits; this can be difficult when our goals for the “Work-out of the day” are made public to our fellow CrossFitters, as you don’t want to let the team down. If we are lifting a heavy weight as many times as we can in a set amount of time, it’s not going to be long until we pick up an injury. Not using the correct form whilst performing exercises. It is important that you check-out your CrossFit coach’s experience. You can become a Level 1 CrossFit trainer following a two day course, with no previous experience required – which increases the likelihood of you doing exercises incorrectly and then getting injured. Training as hard as the person next to you: although group exercises are very successful for personal motivation, it is always important to recognise your own limits and not compare them to others. It can lead to injury if we push ourselves further than we are capable of. SMART goals (specific, measurable, attainable, realistic and timely) – with big emphasis on the REALISTIC! Don’t plan to perform a deadlift with an extremely heavy weight for as twice as many reps as you have done before, because you’re going to get hurt. As a general rule, if you’re lifting heavy you should perform fewer reps and ensure the appropriate form. Don’t get dragged into setting unrealistic goals just to impress your CrossFit family. Listen to your body. When the warning signs are there, take them seriously! Our bodies don’t have over-dramatic days. If something doesn’t feel right, it’s because it isn’t. Rest days. If you are performing high-intensity training frequently, you will get some micro-tearing within your muscles. If you are not getting enough rest, the vulnerable muscles can become overloaded and could lead to a muscle strain. Muscles need time to repair following training; giving them a period of rest gives the muscles a chance to become bigger and stronger. Warm-up properly. Check you’re spending 10-15 minutes stretching and performing dynamic movements to increase your heart rate and warm the muscles up ready for exercise. Cool-down. Also important to allow the heart rate to gradually decrease to your normal baseline and help to clear out waste products. 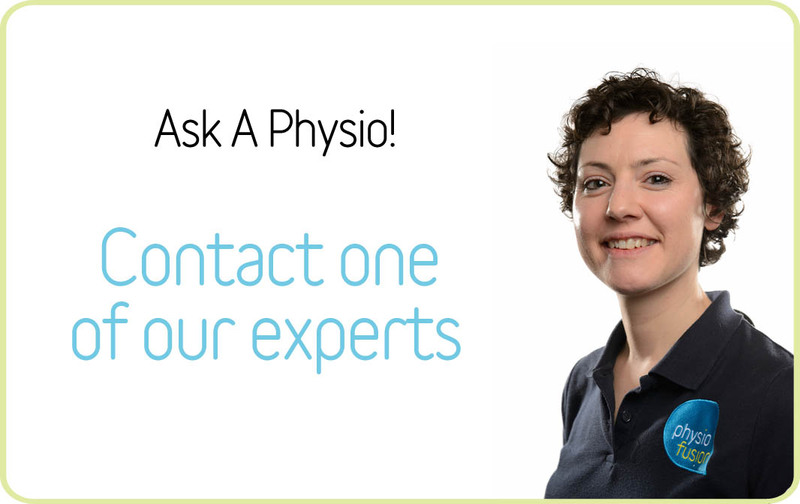 If you are considering getting into CrossFit or you already attend CrossFit classes but find yourself in some discomfort, please don’t hesitate to use our FREE Ask-A-Physio service online at: www.physiofusion.co.uk and talk to our professionally trained Physiotherapists. Hopefully we will be seeing one of you on Ninja Warrior UK soon!